The ultimate Elvis tribute show is coming to Carpenter Theatre on March 7. What happens when you take a bunch of Ultimate Elvis Tribute contest winners from 2009, 2013, and 2015 and bring them to Richmond to kick off the King's birthday celebration? Things get real . . . sweaty. The award-winning theatrical attraction Elvis Lives: The Ultimate Elvis Tribute Artist Event" will be stopping at Richmond Carpenter Theatre at Dominion Arts Center on Tuesday, March 7. 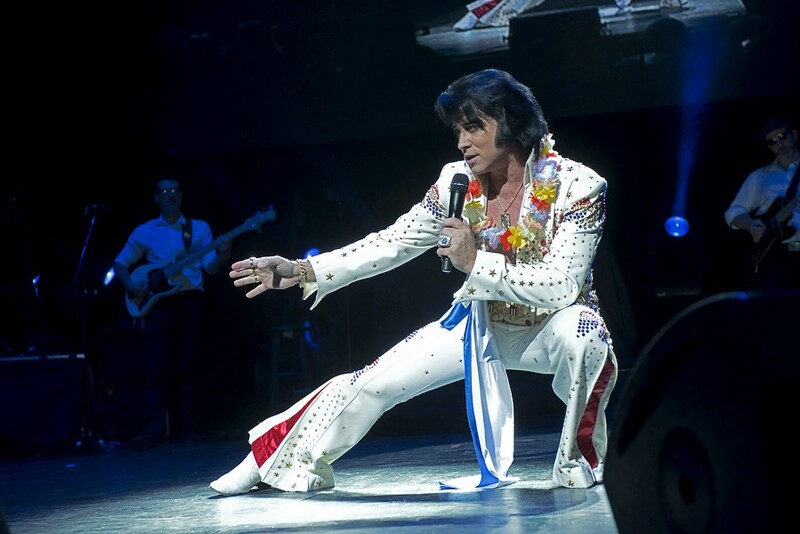 Presented by Jam Theatricals, the multi-media live musical is a co-production of On Stage Touring's Legends in Concert division and producing partner, Elvis Presley's Graceland. "Elvis Lives" is a journey across Elvis’ life featuring winners and finalists from Elvis Presley Enterprise’s (EPE) annual worldwide Ultimate Elvis Tribute Artist Contest™, each representing Elvis during different stages of his career. The tour marks the third time in the production’s six-year history that all three Elvis tribute artists are top winners of the contest. Bill Cherry, Dean Z and Jay Dupuis from 2009, 2013 and 2014 have reunited as the featured touring cast of ELVIS LIVES during the initial leg of the 2017 tour. They will be joined by a live band, back-up singers and dancers, along with an Ann-Margret tribute artist. The upcoming tour will see more songs added to the set list, including “Return to Sender,” “Bossa Nova,” and more. As a co-producer of the tour, Graceland is providing rarely seen restored video and photo assets from its Graceland Archives to enhance the production. The 2017 tour will feature new media direct from Graceland, never before seen on an ELVIS LIVES tour. Fans can expect to see new material and Elvis memorabilia provided. Tickets go on sale to the public Monday, Dec. 19 at 10 a.m. and can be purchased online at BroadwayInRichmond.com, at Dominion Arts Center and Altria Theater box offices and by phone 1-800-514-3849. Now for the real motivation behind this post, have a blue Christmas, yo.